Basement level renovations seem to have been gaining traction in the last few years, and for a good reason. Our client finished their project with a self-contained suite on their lower ground floor, perfect for providing overnight guests with their own space. 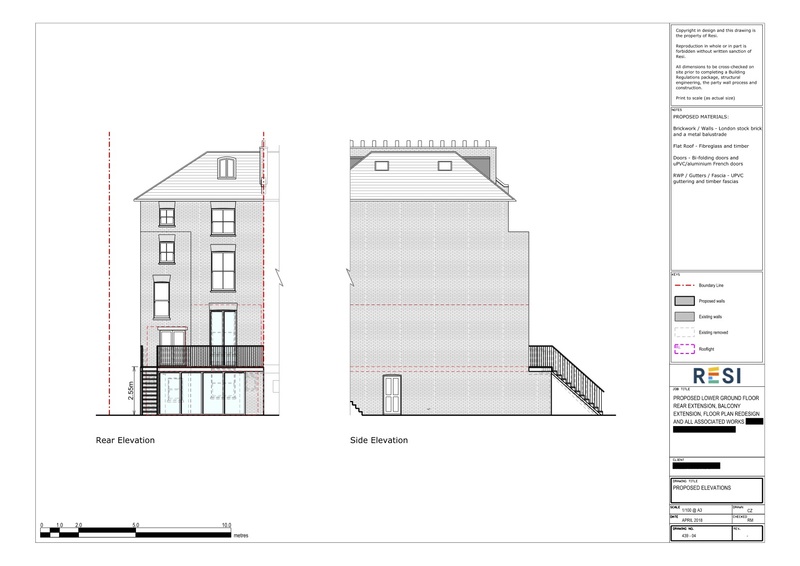 This project was carried out under full planning permission, which was granted on 23rd July 2018. 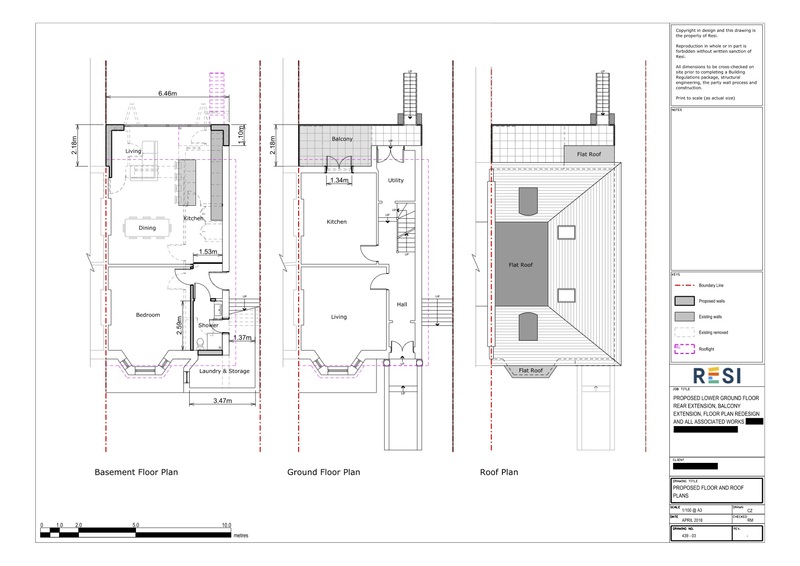 Our client was looking to build a lower ground floor rear extension, in order to accommodate a new open plan living area, bedroom, and bathroom. They also wanted to extend the balcony on the ground floor out towards the garden. This was all to be accomplished with a modern style in mind, without being too minimalist. I designed a floor plan that took these reconfigurations into account, opening up the lower ground floor to create an open plan living, dining, and kitchen area. This was accompanied by a kitchen island, and room for a large dining table. Towards the front of the property, I kept most of the existing walls that allowed for a bedroom and shower room. We even had room for a laundry and storage area just behind this. As specified by our client, I extended the balcony on the ground floor out towards the rear, which sat above the lower rear extension. Basements can sometimes have a problem of being dark and dingy, but I combatted this by adding bi-fold doors to this floor - plus French doors were added to the balcony on the floor above.